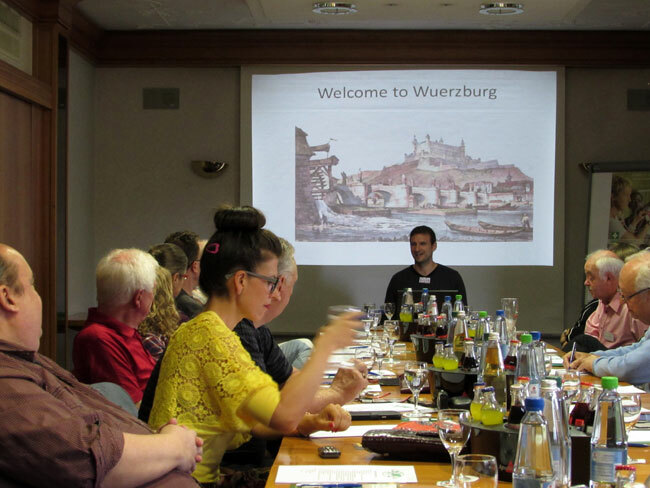 Stephan Behringer (see picture #1 below) introduced us to Wuerzburg, the city of his residence, and to its most famous sons, i.e. Tilman Riemenschneider (mason and mayor), Balthasar Neumann (architect), and Walther von der Vogelweide (medieval poet). With many architectural attractions, some ancient, some artistically restored after World War II, Wuerzburg features a unique old city that is both picturesque and lively. On subsequent walks through the city (e.g. 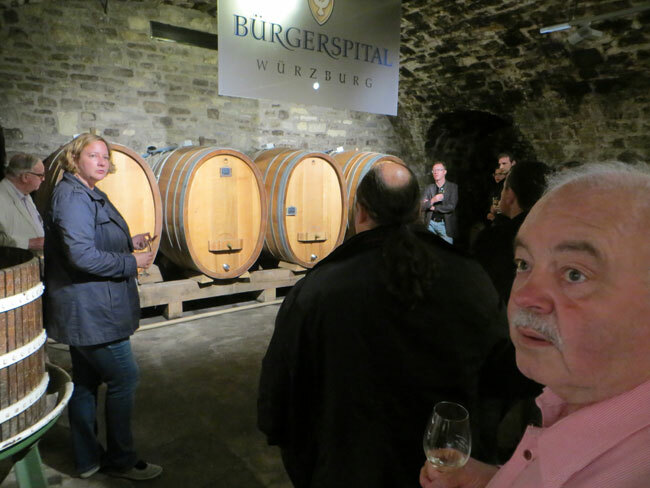 to our wine tasting in the historic “Buergerspital” cellars, see picture #2), participants learned about the Old Main Bridge (packed with public wine drinkers), the Castle “Marienfeste” on mountaintop (the perfect backdrop for this year’s group photo, see picture #3), the Town Hall, the “Falkenhaus,” and various churches. For those still around on the after-meeting Sunday, a visit to the UNESCO-protected city palace, the “Residenz,” was on the agenda, including the World’s largest hanging fresco by Giovanni Battista Tiepolo. In a second talk, Stephan presented his latest endeavor, a bona-fide roadshow (which he calls “railshow” after his favorite means of transportation) through many German cities, by which he is about to explain his meaning of the mathematical equation “10 x 10 = 100” to a (hopefully) big audience. 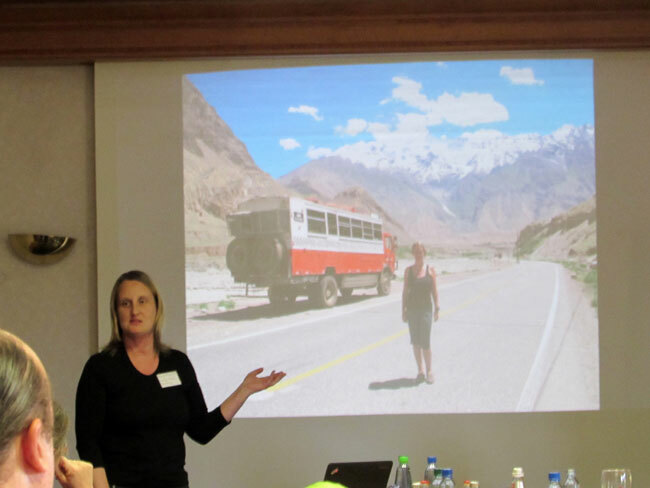 Functioning as a “test audience,” TCC members followed him through the last 10 years of his life, in which he managed to learn 10 languages fluently and, being much more than a mere side effect, traveled to 100 countries! Volker Klein (see picture #4) focused on another important Wuerzburg resident, the physician Philipp Franz Balthasar von Siebold, who in the 19th century became famous not only for introducing Western medicine in Japan, but also for his studies of the Japanese flora. Von Siebold established his contacts to the Japanese rulers aboard Dutch merchant ships since the Dutch were the only Westerners trusted by the Japanese not to propagate Christianity. 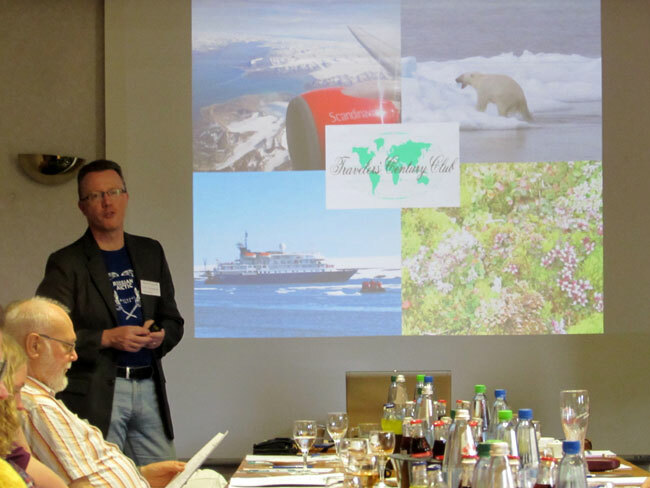 Dirk Hannemann (see picture #5) first gave us an impression of his recent trip to Franz-Josef Land, a Russian archipelago in the High Arctic, by showing beautiful pictures of ice formations, walruses and polar bears. He reported about a constant population of a few people, including military and research personnel just like in certain Antarctic territories, and raised the question about whether or not Franz-Josef Land should be added to the TCC list of territories. 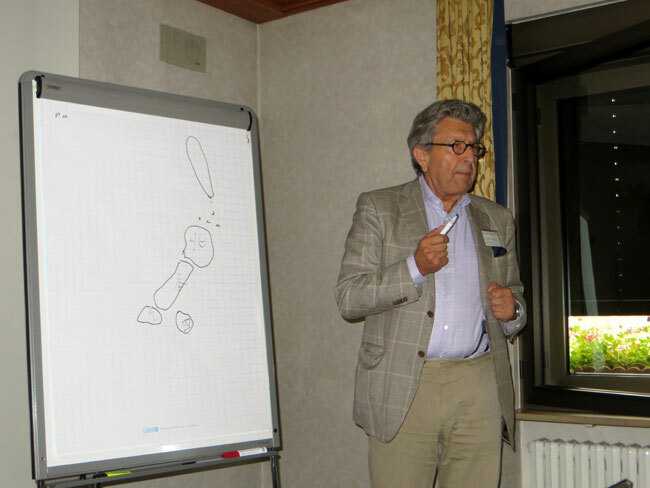 Moreover, he presented his work for the German Doctors in Bangladesh, a charity organization sending physicians into Third-World countries to help. Even with limited financial means, when one surgical intervention is up against 1,000 shots of medicine, this help is urgently needed. Of course, all physicians work free of charge and use their vacation days for the trips. Most interestingly, even in a Dhaka slum patients would dress as nicely as possible for their visit to the doctor while, according to Dirk, not even washing is a common habit back home. 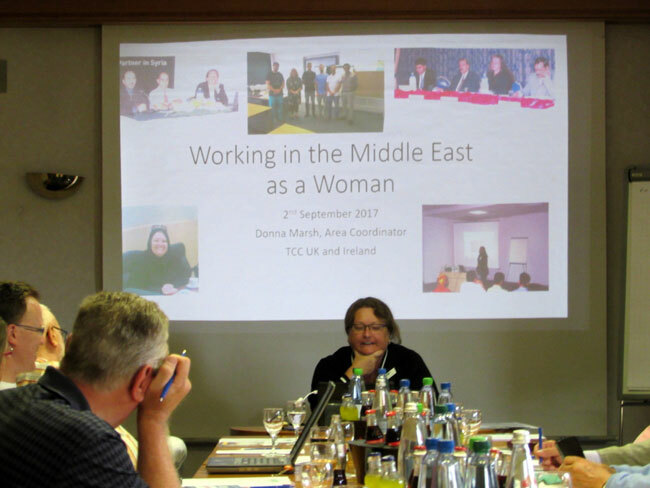 Donna Marsh (see picture #6) added yet another piece of work experience. She works as a business consultant in the Middle East and very frequently in Saudi Arabia. She presented a list of dos and don’ts while doing away with many common prejudices. Especially, the situation for Western women has improved a lot over the last decades; businesswomen have become a bit of normality. At the Saudi-Arabian border, e.g., she never had to wait for more than 10 minutes – quite in contrast to what her male colleagues experienced. Donna has already published two books on the subject. Armin Schreiner (see picture #7) gave another 100-picture travel report, this time about a trip to Mexico and Belize in 2009/2010. After visiting the Christmas market in Mexico city (very untypical, for German eyes, to see masses of people lining up to have there picture taken in various cartoon landscapes) he went north to the village of Angangueo to see the hibernation of millions of monarch butterflies. A highlight of Belize (next to the Maya pyramids of Xunantunich) was for sure the SCUBA-dive spot “Blue Hole,” which as a sunken ”cenote” sports submarine limestone formations. Pictures from an additional excursion to the Panama canal were omitted for reasons of time. 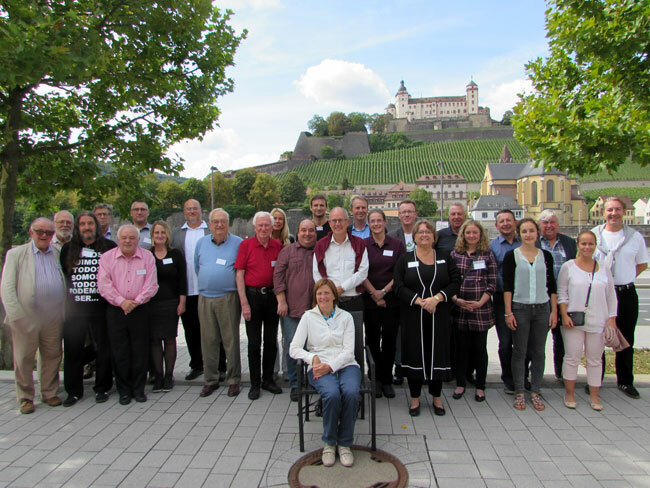 Although there was a suggestion to meet more often, there will be only one German meeting in 2018 (regional meetings shall be organized individually by interested members). In 2018, the hosting city will be Leipzig. 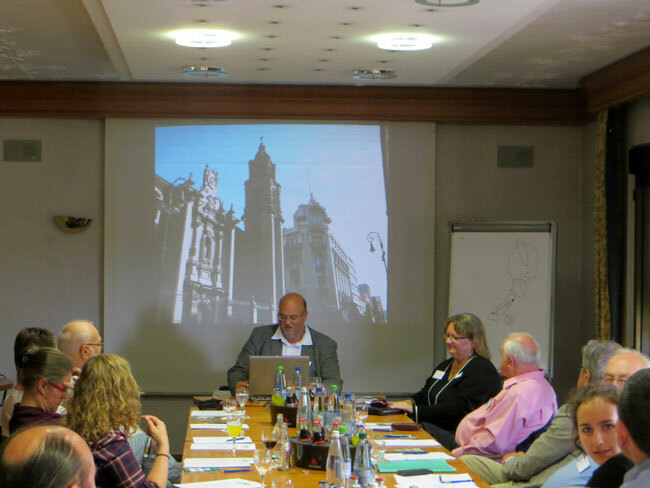 The meeting will take place on Sept. 1, 2018, with a maximum of six presentations and, most definitely, a travel-related quiz.